How weird is that two countries, Sweden and Turkey, which are two far in distance to each other have such common words in their languages. Futhark alphabet (predecessor of Runic Alphabet) is known to have the same origin with the ancient Turkish (the current Turkish has been intermixed with Persian language a lot in the recent history). If you want to compare the ancient Turkish with the Futhark language you can check the Gokturk Alphabet. Odin, the Viking God, was brought to light as the "Turkish Ancestor of Swedish People" by Prof. Sven Lagerbring in his book (you can reach this book from Royal Swedish Library: Bref till Cancellie Rådet och Riddaren, Herr Joh. Ihre om Svenska och Turkiska Språkens likhet, 1764, Lund University). Here what he concluded, given with his words: "Our ancestors are Turks who are comrades of Oden. We have got enough evidence on this subject. There are people who want to fool you into thinking they are Goths. I don't care whether it will be discrediting for me or not. Oden and his comrades were Turks." 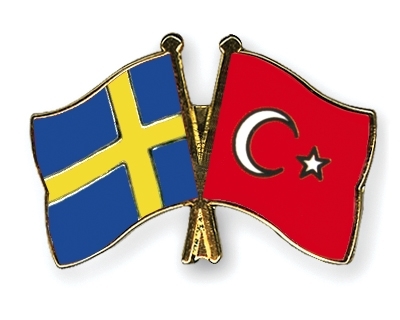 Let's check the common words in Swedish and Turkish, also given in English (the success of UK, the successor of Greek, that both brother countries do not know their history, shame of Sweden and Turkey).